TAMPA, Fla. – Penn FC announced today that it has received approval from the United Soccer League (USL) to join USL League One in advance of the 2020 season and has begun to pursue a potential new soccer-specific stadium development in the region. In addition, the company announced it will vacate its current facility by year’s end and forego league participation in 2019. "We're incredibly disappointed not to take part in the 2019 season," said Penn FC Owner Eric Pettis. "However, we remain wholly committed to finding a solution to our stadium situation and ensuring that we can continue to bring high-level professional soccer to our fans in the region. We look forward to launching a new era of Penn FC in 2020." 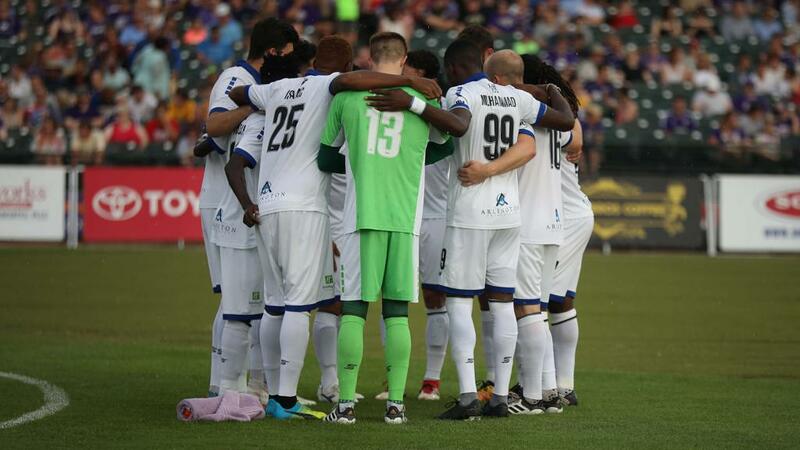 The club, founded in 2003 as the Harrisburg City Islanders and re-branded as Penn FC this past offseason, is one of only three alongside Orlando City SC and the Swope Park Rangers to have reached the USL Cup on two separate occasions in the league’s modern era. Previously, the club claimed the USL Second Division championship in 2007 and regularly found success in the Lamar Hunt U.S. Open Cup, reaching the Quarterfinals on four occasions. "The lack of a serviceable stadium solution has presented a tremendous challenge for Penn FC," said USL President Jake Edwards. "Our league has grown and matured to a point where having a strong venue that allows for proper scheduling, a quality in-stadium experience and better opportunities on both the business and technical sides is absolutely essential. With that said, we have great faith in Eric and his team and look forward to welcoming them back in 2020."